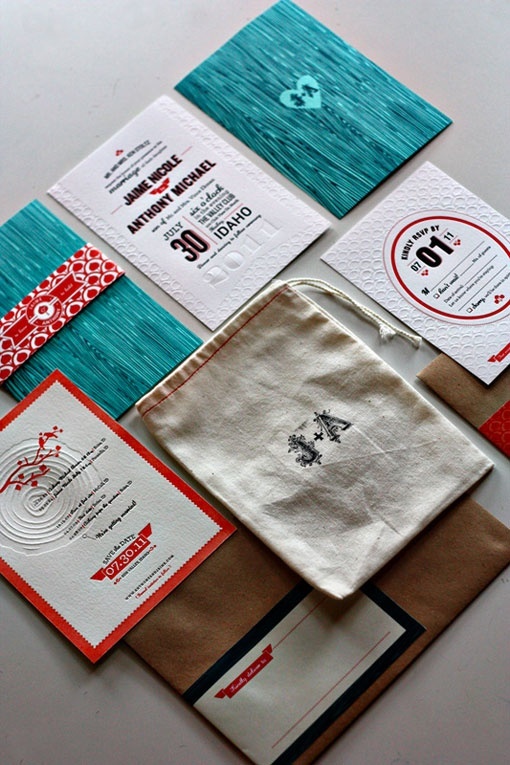 You’ve probably already checked the wording and invitation etiquette in order to create perfect wedding invitations, but here are a few tips you might not already know. If you plan on inviting an entire family, children over the age of 18 should receive their own invitation, addressed to them. This is true even if the child lives in the home of his or her parents. Since most invitations offer room for a guest, this should be counted on your master list so you can plan appropriately. 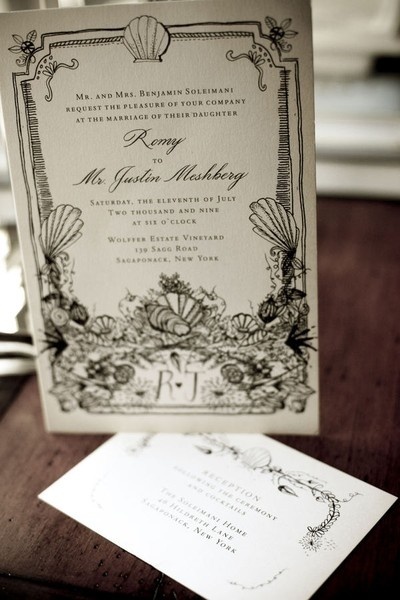 On wedding invitations, the prefix “Ms” is never used. It’s always “Miss” for young, unmarried ladies. You don’t have to include a slew of enclosures, especially if you’ll have a small, intimate ceremony. Map cards are appropriate for out-of-town guests so they can get to the destinations easily. 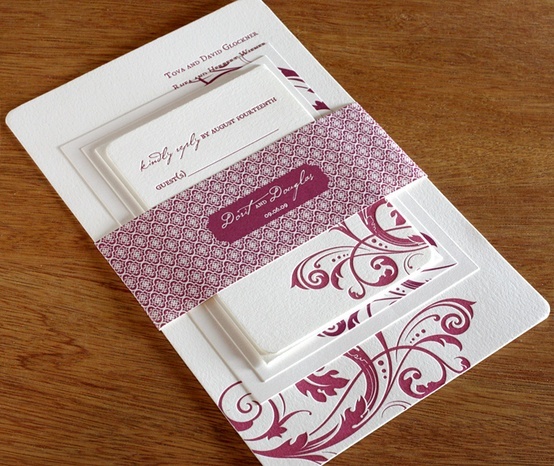 You may also want to include a special card for guests who are sitting in special locations for the ceremony. 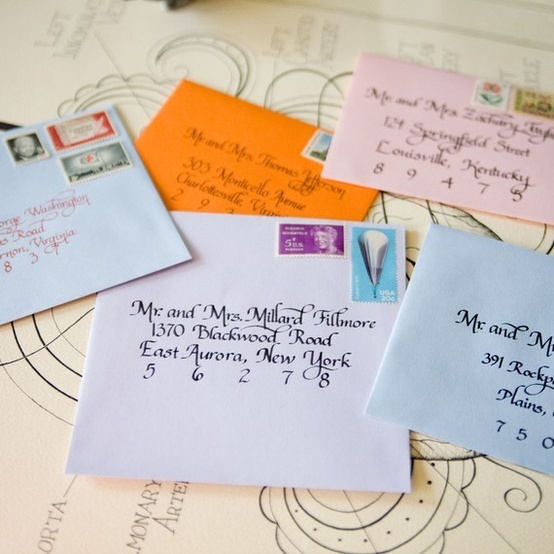 You should mail your invitations 4 to 6 weeks before the wedding date. 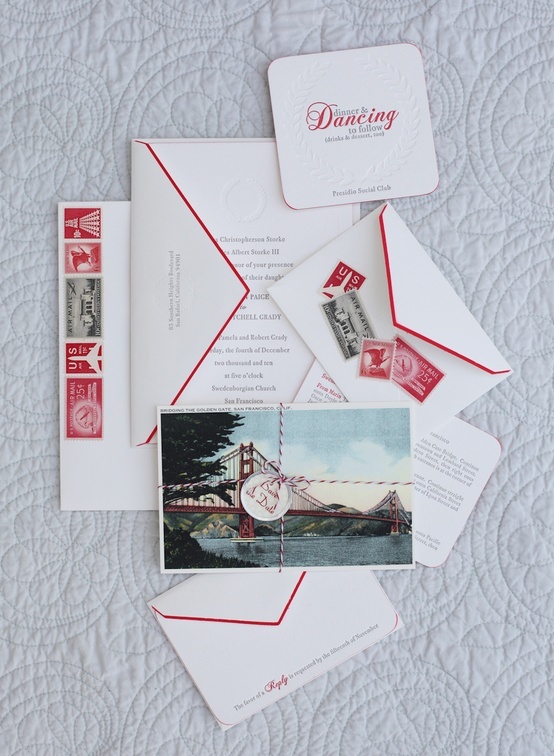 If the wedding will be held in a town different from the one you live in, or if it is a summer wedding, you may want to mail the invitations 8 weeks before the wedding. This gives individuals more time to plan for travel or during busy seasons. Even if your priest, rabbi or minister is not marrying you, it’s customary to invite them as well as their spouse. 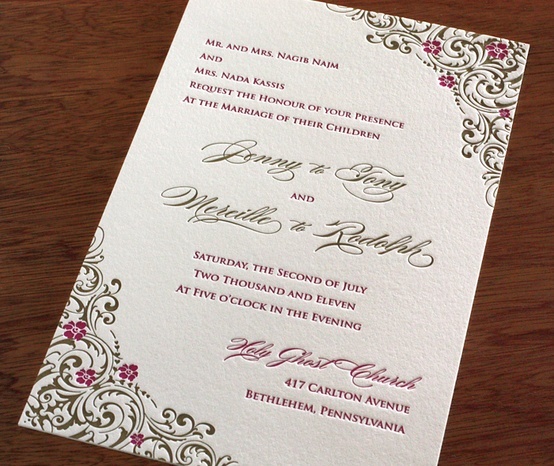 Keep these tips in mind when creating your wedding invitations to ensure that you provide guests with the proper amount of respect and information! Um, no. First of all, what about unmarried women who are not young? But mainly, you don’t get to call someone by a title they do not like and do not use just because it’s a wedding invitation. If the women you are inviting use Ms, you use Ms on their invitation.